The new Wales home shirt is available to purchase from JJB Sports stores from Thursday, 1st September 2011. Juniors £29.99, Adults £39.99 (short sleeve prices). The deep-red colour of traditional Wales football shirts has been updated with a tread-pattern print and high-definition Wales crest embroidery. Crafted from light and breathable fabric, the Wales Home Shirt 2011/12 features a y-neck collar for improved comfort and mesh panels for ventilation. As worn by Wales football stars Gareth Bale and Aaron Ramsey, the Wales Home Shirt 2011/12 is Tailored by Umbro to keep you at the top of your game! Breathable mesh panels at sides underarm. updated: Wed, 31 Aug, 2011 21:08 UK. updated: Sun, 28 Aug 2011 09:45 UK. updated: Sat, 26 Aug, 2011 18:12 UK. dragonsoccer.co.uk has updated its items in its shop. All proceeds from the shop will go towards our local junior football side. updated: Thu, 25 Aug, 2011 09:08 UK. Under 19: Friendly matches against Bulgaria. RESULT: Bulgaria 1 Wales 2. Goalscorers for Wales were James Loveridge (27m Pen) and Richard Penniket (87m). Subs: 12.Daniel Ward. (Wrexham), 13.Tomos Jones. (Oldham Athletic), 14.Jordan Holt. (Hull City), 15.Emyr Huws. (Manchester City), 16.Robbie Parry. (Wolves), 17.Gwion Edwards. (Swansea City), 18.Richard Peniket.(Fulham). Defeat this afternoon for Brian Flynn's young Under 19s side in Bulgaria. FT: Bulgaria 2 Wales 0. 11. Gwion Edwards (Swansea City). 12. Jonathan Bond (Watford), 13. Ben Davies (Swansea City), 14. Jordan Smith (Swansea City), 15. Max Penk (Wrexham), 16. Henry Jones (Swansea City), 17. Jake Cassidy (Wolves), 18. James Loveridge (Swansea City). Brian Flynn's Under 19s will travel to Bulgaria at the end August for two friendly matches. The matches are in preparation for the UEFA U19 matches in September against Belgium, Scotland and Slovenia. Called up are Tomos Jones (Oldham Athletic), Henry Jones (Swansea City) and Max Penk (Wrexham). Out are Aaron Holloway, Ellis Harrison and Wade Joyce. 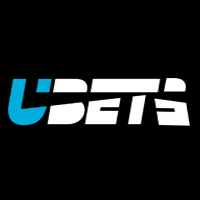 Luke Chambers (Southend United), Christian Dibble (Bury), Josh Pike (Swansea City), Ben Davies (Swansea City), Max Penk (Wrexham), George Higgins (U D Almeria), Leon Newell (Birmingham City), Dane Griffiths (Cardiff City). 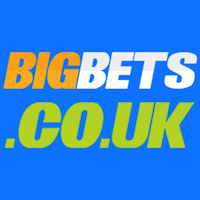 Tuesday 23rd Aug. Bulgaria v Wales. Pravets. Thursday 25th Aug. Bulgaria v Wales. Pravets. James Loverridge - Swansea City. posted: Sat, 13 Aug, 2011 17:00 UK. 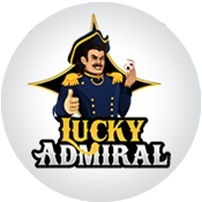 1 Cameron Clarke, 2 Ross White, 3 Keston Davies, 4 Tom Atyeo (Capt), 17 Sam Jones, 6 Liam Walsh , 16 Lloyd Humphries, 11 Peter Smith, 10 Kyle Copp, 7 Abdi Noor, 9 Alex Penny. Subs: 8 Cory Francis, 13 Jake Charles, 12 Gareth Owen, 14 Cian Harries, 5 Tomos Clarke, 15 Liam Wright , 18 Ellis Bellamy. The Wales U16 schoolboy squad has been selected for the Development Squad matches against Poland. The games are set to be played in Plock between 22nd and 26th August 2011.
posted: Mon, 1 Aug, 2011 20:24 UK. RESULT: Northern Ireland 0 Wales 2. Helen Lander with both goals for Wales. Jarmo Matikainen, has named his squad for the friendly international with Northern Ireland. Match to be played at the Oval, Belfast, on Tuesday 23rd August 2011, the friendly is in preparation for the first of the UEFA Women's Championship games against the Republic of Ireland in September. The squad is boosted by the return of captain Jayne Ludlow after a long injury lay-off. Milly Durrant - Coventry City. Zoe Atkins - Cardiff City Ladies. posted: Mon, 15 Aug, 2011 14:20 UK. updated: Sat, 20 Aug, 2011 17:105UK. 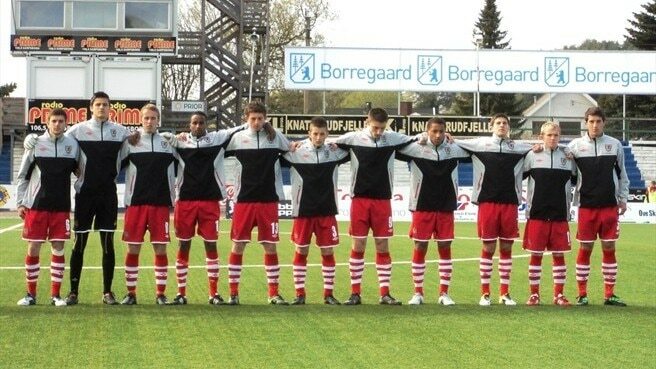 The Under 19s drew 0-0 against Belgium. Match was played at the GenQuip Stadium, Port Talbot, Tuesday 16th August 2011. The teams meet again at 11am on Thursday morning, match to be played at the Sport Park in Treforest. 8. Josie Green (Watford) - Capt. 10. Jordan Guard (Cardiff City) - (18 45m). 11. Rachel Hignett (Bristol Academy) - (15 74m). 12. Alice Evans (Cardiff City), 13. Alex George (Llanidloes), 14. Ellie Curson (Bristol Academy) ( 45m), 15. Emily Thomas (Tranmere Rovers) ( 74m), 16. Rebekah Hadley (Caerphilly Castle), 17. Amy Thrupp (PILCS) ( 72m), 18. Shanelle Edwards (Cardiff City) ( 45m). posted: Wed, 17 Aug, 2011 07:00 UK. The two Under 21 UEFA qualifying matches against Montenegro and the Czech Republic will be played at the Racecourse Ground, Wrexham. Saturday 8th October 2011. v. Montenegro. Kick Off 6pm. Tuesday 11th October 2011. v. Czech Republic. Kick Off: 7.15pm. 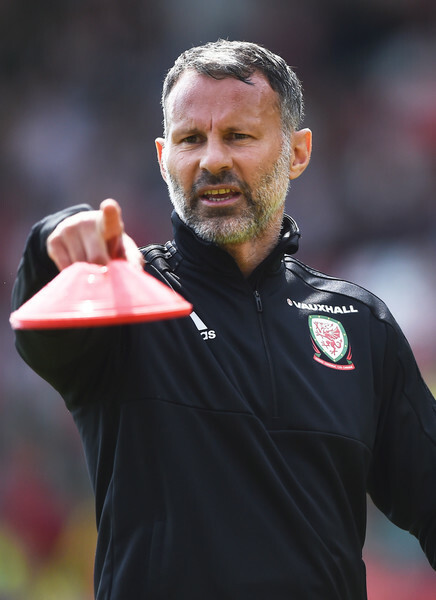 Wales have won the last three Under 21 matches played at the Racecourse - Two UEFA matches against Hungary (2009), Bosnia-Herzegovina (2009), and a friendly with N Ireland (2011). So far in this UEFA Under 21 campaign, Brian Flynn's side have beaten Andorra 1-0 away, next game is away to Montenegro on the 6th September. posted: Mon, 15 Aug, 2011 17:30 UK. FSF meeting with the FAW. With tricky trips to Bulgaria (Sofia) and Wembley in the coming months the hard working bunch at FSF Cymru took the opportunity to meet with the Welsh FA on Thursday 4th August. These regular meetings aim to boost understanding and communication between fans and the FAW. FSF Cymru is also happy to hear from Welsh fans who would like to attend these meetings in future - email Paul Corkey for further information. updated: Sun, 14 Aug, 2011 11:40 UK. updated: Sat, 13 Aug, 2011 16:12 UK. 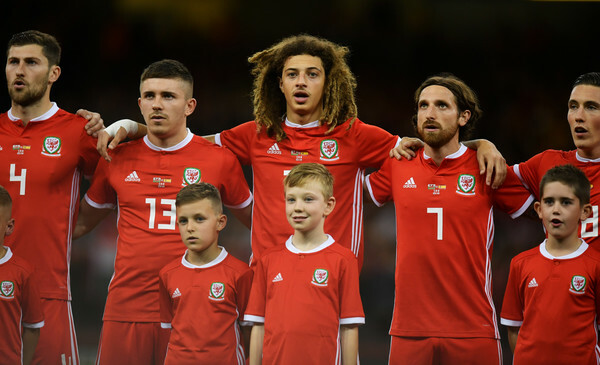 The Wales Supporters Club is still open to new members, membership lasts until the end of this qualifying campaign and costs £25 for Gold members, £15 for Silver members and £5 for Junior members. Membership forms, and further information, can be found on our website at www.faw.org.uk � just click on Tickets. Switzerland Supporters � tickets are available from the Liberty Stadium from 12th September 2011. Cardiff City Stadium Kick off 7.45pm. Priority ticket application forms have been posted to members of the Wales Supporters Club and Welsh football club secretaries. Members and clubs have priority until 5th August, after which tickets reserved by FAW will be released back to Cardiff City Stadium for general public sale. 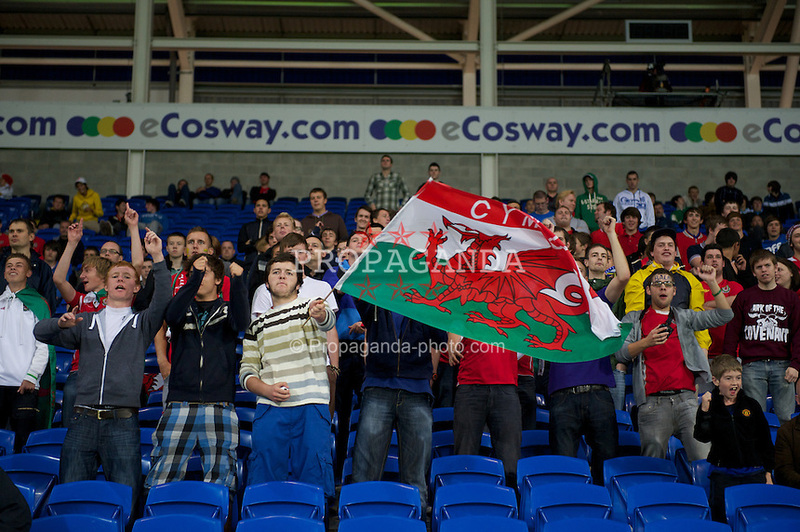 Montenegro Supporters � tickets are available from Cardiff City Stadium from 8th August 2011. Please ask for the away end. Tickets cost £15 for adults and £5 for senior citizens & juniors in this area. 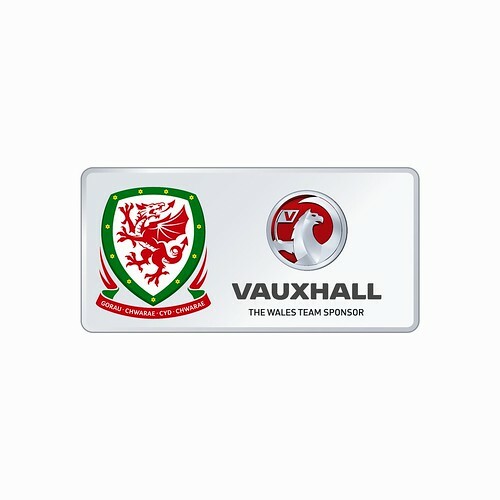 Wales team sponsor Vauxhall release a media bulletin for the Wales v Australia friendly. posted: Thu, 11 Aug, 2011 21:30 UK.